Coming at you with another cozy winter soup – ready to eat in 30 minutes. It’s been unusually cold and wet this year. And all I wanna do is eat soup. We’ve been making my Creamy Sweet Potato Bacon Chowder and my Ultimate Green Soup regularly over the past few weeks. I thought it was time to come up with another easy and satisfying soup to keep celebrating soup season. It’s winter, and I eat what comes in our weekly CSA box from a local organic farm. Lots of cauliflower and kale this time of year, so that’s what I got to work with. I’m super excited because Little One has finally decided that she like cauliflower. I’ve been making mashed cauliflower seasoned with a bit of flavorful vegetable broth and lots of butter. It’s her new fav side dish. Today I’m sharing a warming and comforting cauliflower and kale soup that’s super easy to throw together and hearty enough to take the chill off of a cold winter day. 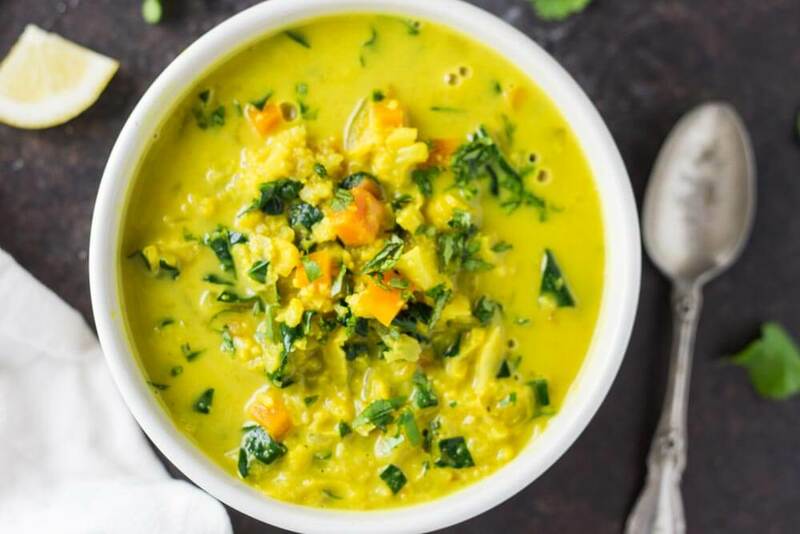 The stars of this soup are the anti-inflammatory turmeric and the warming ginger. Slightly creamy and perfectly spiced to warm the soul. I’ve found this soup is a great way to get more vegetables into my family. I love meals that I can throw together in 30 minutes of less. Soup is good like that. Easy, fast, and inviting. I usually serve soup with a green salad and maybe some of my Grain Free Flatbread. My daughters both love the flatbread and have become experts in whipping it up while I cook up the soup. I love cooking with my kids. 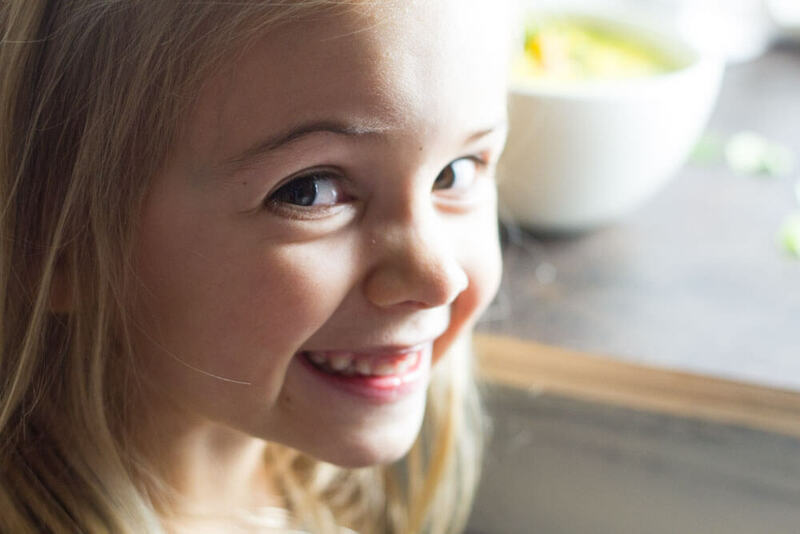 Little One is often my photography assistant when I shoot my recipes. She’s becoming quite the little helper these days. Have I mentioned that I love my job???? Being able to be home while I work is a real dream come true for me. Hope you are having a great first few weeks of 2017 and are crushing your health goals so far! Stay positive. Combine curry powder, turmeric, cumin, pepper, and cayenne (if using) in a small bowl. Set aside. Heat fat of choice in large soup pot and saute onions until translucent and starting to brown. Add garlic and spices and cook another 30 seconds to temper flavors. While onions are cooking, roughly chop cauliflower and pulse in batches in food processor into course rice-like texture. Add coconut milk and kale. Continue to cook until kale is wilted and bright green. Add salt to taste. Garnish with fresh cilantro and lemon wedges. Enjoy! ** No need to be perfect when “ricing” the cauliflower. Just pulse until it’s broken down into small, tiny bits. This gives a very nice texture to the soup. Fantastic! Thank you Katja! The lemon ? wedge squeezed in was the most perfect touch! I love lemon in soup. Yay! I’m so glad you likes it! 🙂 Big love to you and the family!! This sounds delicious! I love all of that curry, we’re huge curry fans in our home. 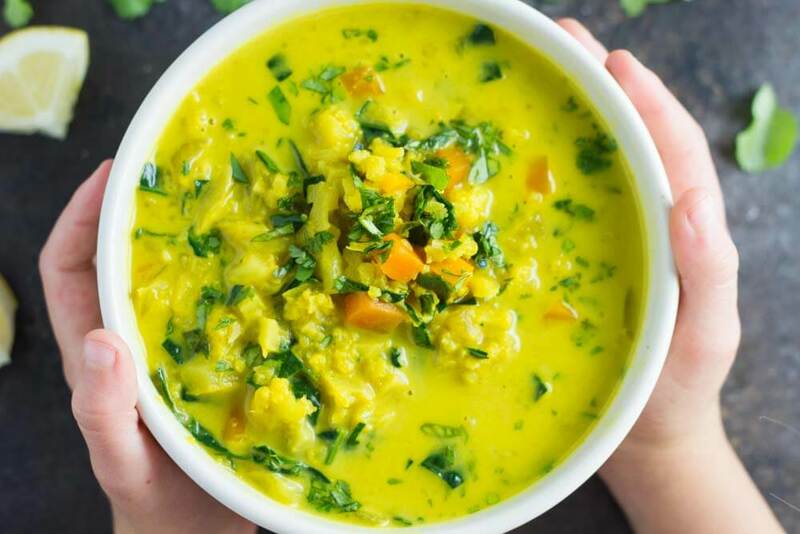 We’ve been having lots of rain and this beautiful soup sounds perfect right now! 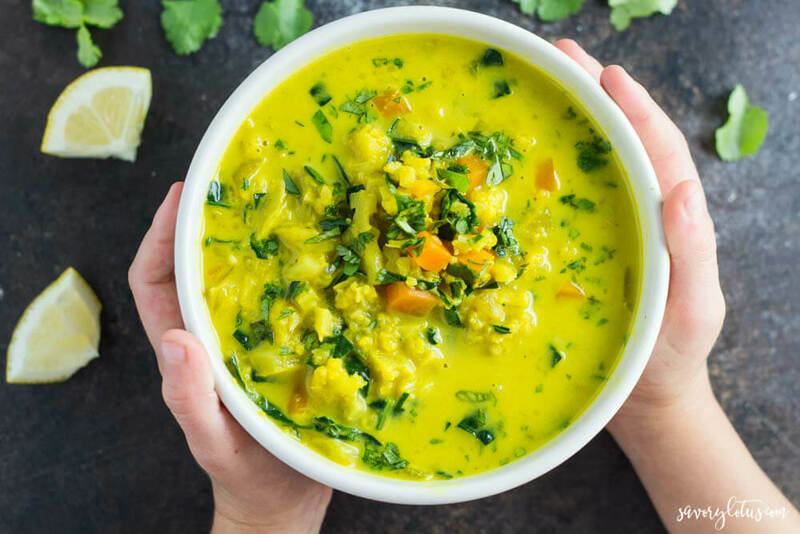 You had me at curried! YUM! 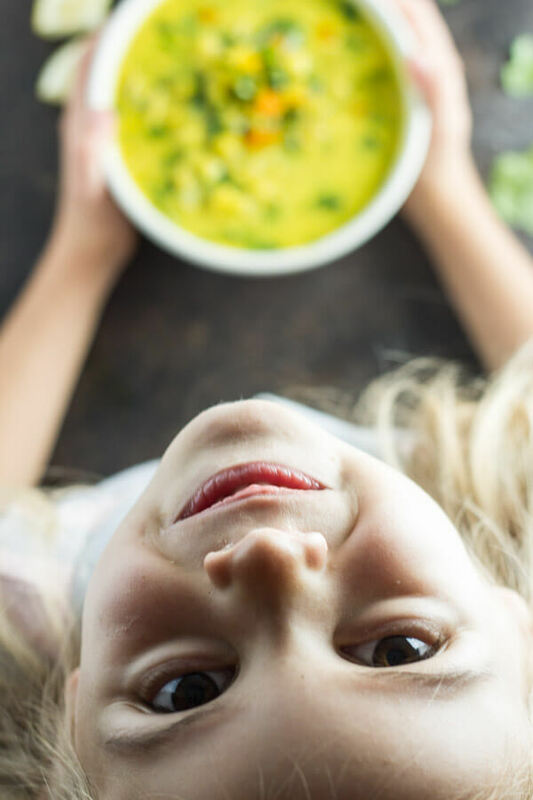 My girls LOVE curry too – your Little One is so sweet! I can’t wait to make this! It’s such an easy way to get them to eat more veggies! I’ve been trying to cut down my meat consumption somewhat so this looks like a perfect meal that would be filling and delicious! Plus it’s a great warming dish this time of the year. Can’t wait to try it! Yea, we are trying to eat more vegetable every day so I am making lots of vegetable soups. So good this time of year! Love this so much – that yellow turmeric color is screaming to me! Yes! Hope you enjoy it!! This totally looks like my gem! 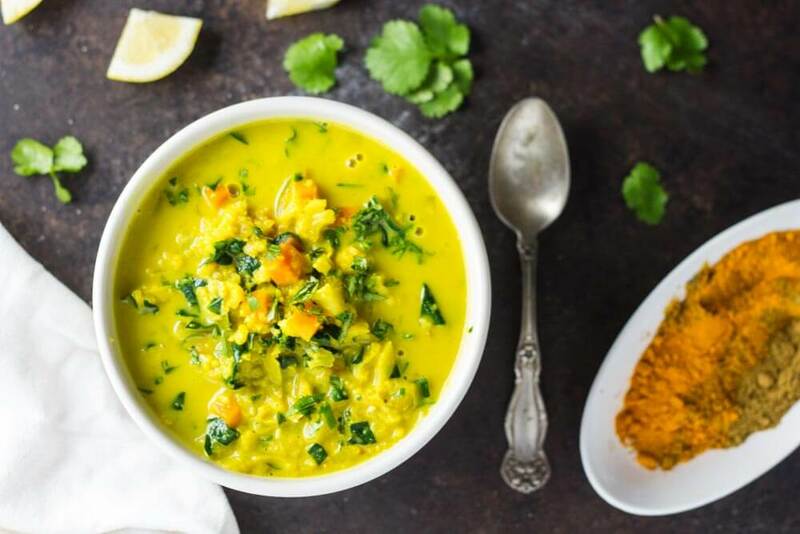 I love curried soups and stews – so warming and a great way to get some more turmeric in me. Will have to try this recipe. Yes please!!! Love the flavors, colors and textures in this soup. What a beauty! Yes! It’s all about the colors and textures. I originally had big chunks of cauliflower in the soup but decided that “riced” cauliflower had better texture. Just made this soup for my very picky family and they loved it! It was so delicious and very satisfying! Thankyou for sharing this recipe! Awe! Thanks! I love havig her work with me. Best part of working from home. 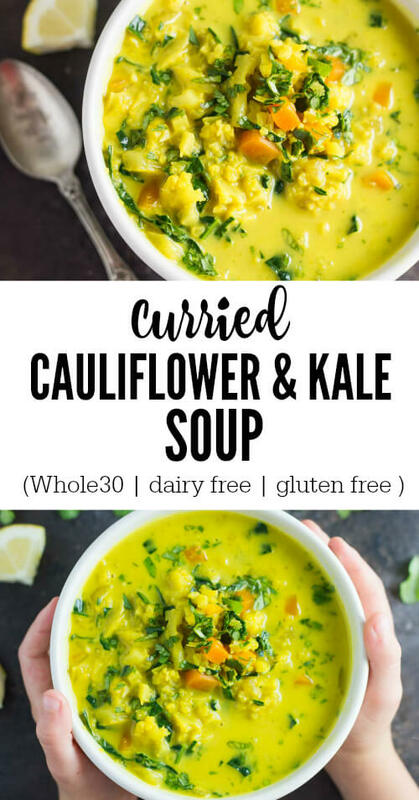 I’m all about soup lately and this curried cauliflower and kale soup sound so nutritious and delicious ! This looks incredible, and what a great way to work in some gelatin! The color of this is so inviting, and I love kale in soups. Sounds so delicious! This looks delicious and also is dairy free too which is something I always look for in recipes, thanks! I’ve been dairy free for years. 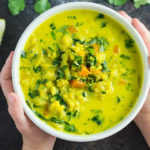 Full fat coconut milk works so well in soups and stews. I’m loving soups right now as well! And 30 minutes! I am excited to try this! Right! Quick and easy meals are my thing! Thanks! I love to make pretty food! My wife made this testing excellent. Awesome! Thanks for coming back and giving your feedback! just made this and enjoyed it for lunch. DEEEE LISH US!!! Yay! Thanks for the kind feedback. I am so glad you liked it. We’re having a cold and rainy spring in Maine. I just made this soup today, exactly as written, including the cilantro and lemon. So delicious! Perfection in a bowl! Thanks so much! This is OUTRAGEOUSLY DELICIOUS!!! Thank you for sharing this recipe and the tip on how to chop kale. I never knew before and have been afraid to use it (I tried to make kale once and didn’t know to remove the hard ribs lol!) This was super fast to make and I am excited to serve to my family tonight. Of course, I already had a bowl and look forward to eating it again tonight! Yay! 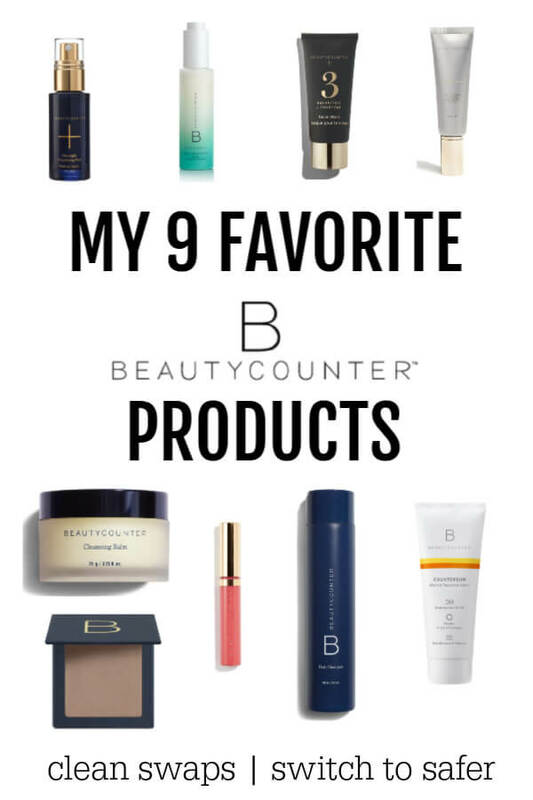 So glad that you liked it! This is a family fav for sure. Good. Not incredibly flavorful, but satisfying. 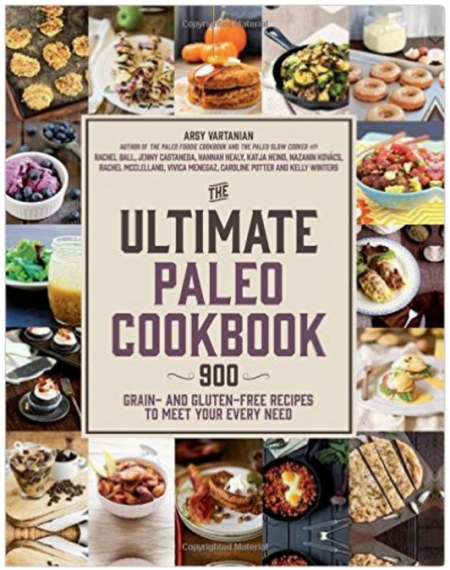 I used only 1/2 teaspoon of turmeric as a personal preference and used lite coconut milk. Thanks so much for sharing this recipe – I wouldn’t want to live without it anymore! Just said we’ll have it for dinner again and my crew was cheering. I follow the recipe to a T and it turned out amazing every time. thanks! Yay! I’m so glad you loved it. Thanks for taking the time to leave your feedback. very tasty.. I added more curry annd cumin..I chopped the carrots really small by mistake but it turned out really good and used vegetable stock..yum..